Home » Tea Tree - Melaleuca alternifolia oil - 100% Essential Oil. Ingredients: pinene, cineol, terpinene, cement, etc. mirtsini. Aroma: warm, strong, sharp, pungent camphor. Main properties: calming, regenerating, antiseptic, antifungal, bactericidal, immunostimulant, temperature decreasing, sweating, inflammatory, healing, insect repellent. Effects on body: Stimulates the immune system, against viral infections, flu, colds, tonsillitis, coughs, sinusitis, asthma, throat and gum infections, prevents the formation of tartar, removes bad breath. Regenerates the skin, shrinks pores, in case of: acne, infected wounds, oily skin, herpes, spots, warts, insect bites, burns, itch, sweaty feet, cystitis, vaginal discharge and inflammation. Tonic for the heart, stimulates circulation and reduces varicose veins. Regenerates and strengthens hair, destroys dandruff. Disinfects air and repels insects. Impact on the mind and spirit: Activates mental activity, increases concentration of attention, makes memory stronger, suppresses shock after an emotional crisis, helps overcome old injuries, releases you from fear and anxiety. Aromatic lamp: air disinfectant, emollient, insect repelling -5.6 drops of tea tree. Aroma Pendant: against viral infections – 1.2 drops of tea tree. Sauna: antibacterial, against viral infections-10 drops of Tea Tree to 500 ml of water. 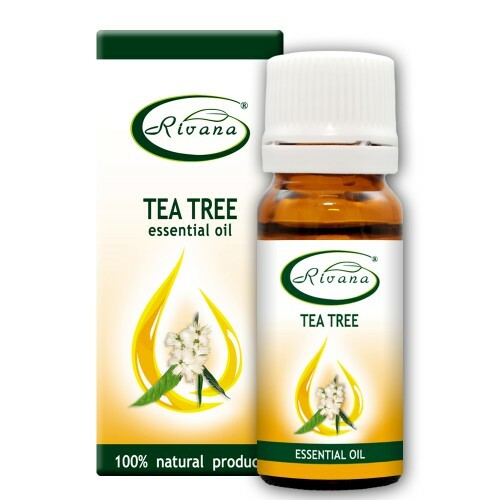 Aroma Spray disinfection of air, insect repelling- 15-20 drops of tea tree to 250ml. of water, shake the bottle and spray the room. Contraindicated for people with individual intolerance to tea tree. Note: The information presented on the site has introductory nature. For treatment, consult an aroma therapist or a doctor!